There are several methods for quantifying VAT, including waist-to-hip measurement, bioelectrical impedance, dual-energy absorptiometry (DEXA), CT, MRI, and ultrasound. Although CT is considered the gold standard because of its accuracy and reliability, its drawbacks are patient exposure to ionizing radiation and the relatively high cost of a CT exam. Visceral fat: What It is and Why It’s So Dangerous. Dr. Axe website. http://draxe.com/visceral-fat/ Accessed March 1, 2016. The Viciousness of Visceral Fat. Health and Fitness Talk website. http://www.healthandfitnesstalk.com/the-viciousness-of-visceral-fat/ Accessed March 1, 2016. Visceral fat tied to coronary disease. AuntMinnieEurope website. http://www.auntminnieeurope.com/index.aspx?sec=prtf&sub=def&pag=dis&itemId=612953&printpage=true&fsec=sup&fsub=car Accessed May 5, 2016. Kaul S, Rothney MP, Peters DM, et al. Dual-energy X-ray absorptiometry for quantification of visceral fat. Obesity (Silver Spring). 2012;20(6):1313-1318. Choi YJ. Dual-Energy X-Ray Absorptiometry: Beyond Bone Mineral Density Determination. Endocrinol Metab (Seoul). 2016;31(1):25-30. This activity has been planned and implemented in accordance with the accreditation requirements and policies of the Accreditation Council for Continuing Medical Education (ACCME) through the joint providership of Postgraduate Institute for Medicine and International Center for Postgraduate Medical Education. The Postgraduate Institute for Medicine is accredited by the ACCME to provide continuing medical education for physicians. SA-CME: This activity meets the criteria for self-assessment toward the purpose of fulfilling requirements in the American Board of Radiology (ABR) Maintenance of Certification Program. The UEMS-EACCME® has mutual recognition agreements with the American Medical Association (AMA) for live events and e-learning materials. For more information go to https://www.ama-assn.org/education/uemseaccme-cme-credit-recognition. There are no fees or prerequisites to participate in this program. Estimated time to complete this activity is one hour. Click ENROLL NOW, CONTINUE, CONFIRM ORDER, and ACCESS COURSE NOW. Click on the blue link. Complete the precourse questions and SUBMIT. Click on the blue link again to view the recording. View the entire educational activity session. At the conclusion of the lecture, close the Vimeo window. Return to the course in your account at www.icpme.us. From the COURSE HOME page, click the button for POSTTEST and for EVALUATION. Your certificate of credit will remain in your account at www.icpme.us as a permanent record of your participation. 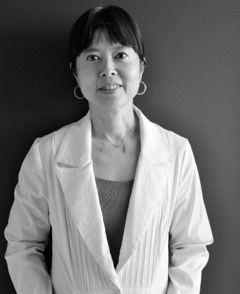 Dr. Loh is board-certified in Obesity Medicine and Internal Medicine. She graduated from Boston University School of Medicine and trained at Newton-Wellesley Hospital where she also served as Chief Resident in Internal Medicine. Dr. Loh worked at Health Management Resources and was the medical obesity specialist at Newton-Wellesley Hospital’s Center for Weight Loss Surgery before starting her own practice. She serves on the American Board of Obesity Medicine exam writing board and is a member of the Obesity Medicine Association and The Obesity Society. Her other achievements include choreography and writing. She was the recipient of the Bunting/Radcliffe Fellowship in Fiction in 2006, a Guggenheim Fellow in Fiction in 2008, and was short-listed for the 2005 international IMPAC Award in Literature. Her diverse skills support her commitment to celebrating the full range of our humanity in an increasingly technological and disembodied world through art and the healing sciences. Postgraduate Institute for Medicine (PIM) requires instructors, planners, managers and other individuals who are in a position to control the content of this activity to disclose any real or apparent conflict of interest (COI) they may have as related to the content of this activity. All identified COI are thoroughly vetted and resolved according to PIM policy. The existence or absence of COI for anyone in a position to control content will be disclosed to participants prior to the start of each activity. Vyvyane Loh, MD, has no disclosures to report. This activity is supported by an independent grant from Hologic, Inc.